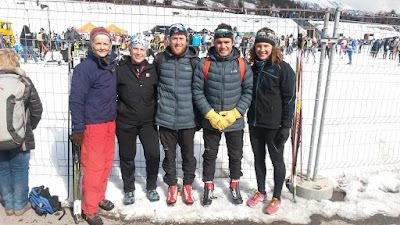 Jackson spent the week leading up to Engadin traveling around Switzerland and meeting up with his family, who came from Maine to visit and race the Engadin themselves. He went to Lucerne to walk on bridges and learn about trains and even found time to take pictures pictures of birds. 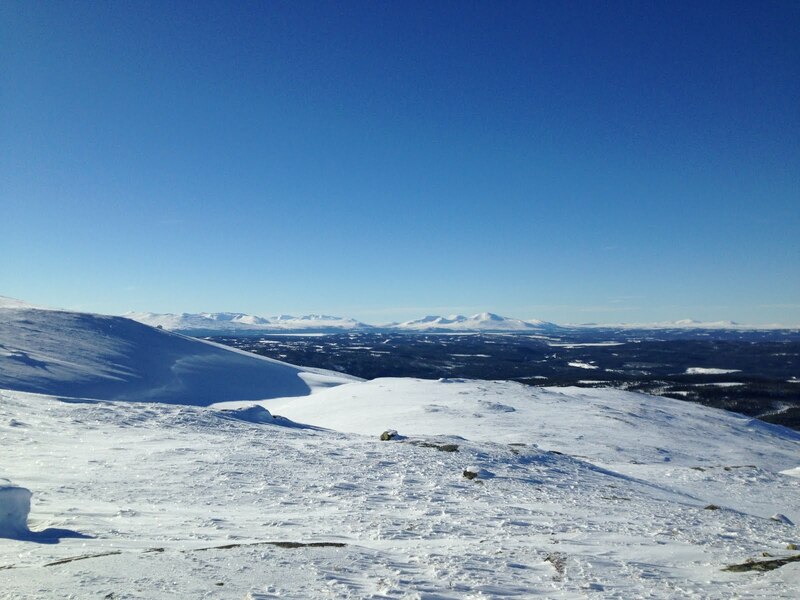 Meanwhile, Tyler and Jada took the train to Östersund to find more skiing! 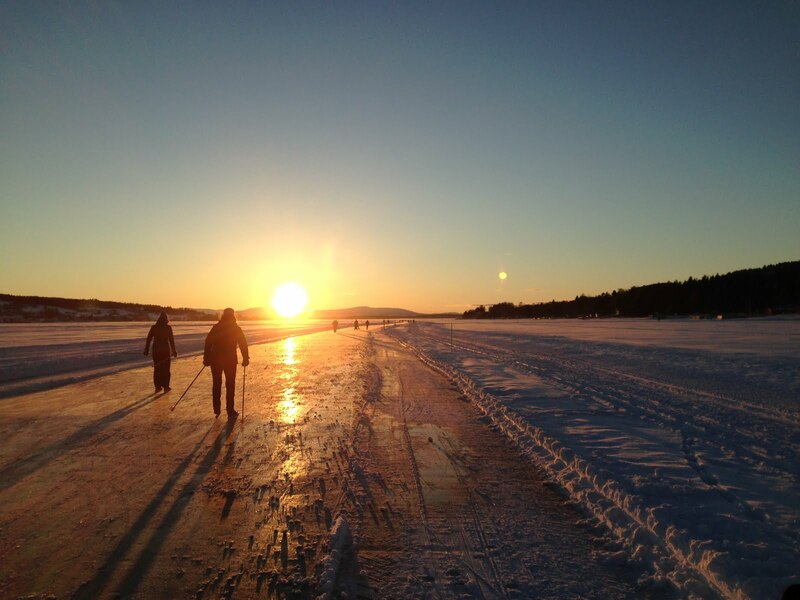 Östersund was an amazing town and everything was focused on winter activities. Here is a photo recap of their adventures. 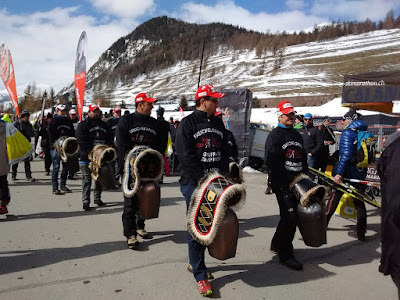 On Friday we all met up in S-Chanf, a small town in the Engadin valley and the finish of the Engadin Marathon. 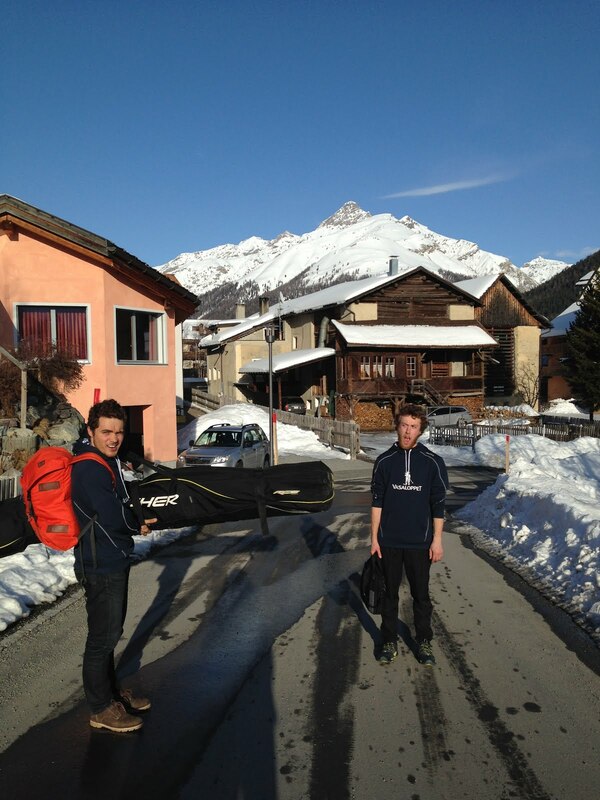 Jackson and Tyler had very different race trajectories during the Engadin. We started together in a pack of 300 other skiers. Everyone is very intense about being close to the front of the pack regardless of how fast they are so we found ourselves packed in like sardines 15 minutes before the start. When the gun went off hundreds of skiers poured out of the start onto a lake that was groomed 10 or 12 groomers wide. With so many skiers trying to skate it was a crazy start and every now and again you would see a skier get tangled with another and fall as if they had been shot by an arrow from the sky. Tyler's race went quite well and he was able to stick with the second chase pack of 20 or so skiers. Near the end of the race Tyler was able to avoid the carnage as everyone jostled for position and he finished 65th in a very tight sprint finish about 6 minutes behind the winners. The result comes in second for the 'highlight of the race' because early in the race he was able to ski next to Dario Cologna for a kilometer or so. “It was the best of times, it was the worst of times... it was the season of light, it was the season of Darkness, it was the spring of hope, it was the winter of despair.” As Tyler mentioned, our Engadin was a tale of two races. The start was the most cramped and chaotic we have experienced so far. We could hear the yells of skiers as the fell all around us or were taken out by those on the ground in front of them. It was a battle field of a ski track and self-preservation was the main goal for the first three kilometers. At this I failed. After about two kilometers of double poling and weaving in and out of the mass, I crashed into a skier who fell right in front of me and ended up sprawled across the trail. I hurriedly got up and fell over again immediately, unable to balance. What the heck was wrong? My skis were flopping around underneath me as I made my way over to the side of the trail to check my bindings, but they were intact so I carried on. At that point I was far behind where I wanted to be so I skied with urgency, but this exacerbated the ski flopping and after several more inexplicable near-falls, I pulled off of the trail to reexamine. Ah. That would do it. Somehow, the soles on both my boots had been ripped halfway off my foot, such that the soles were attached to my skis at my bindings and to my feet at my heels. 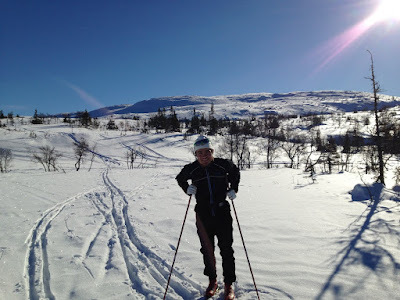 This made skier a little harder, but it was early enough in the race that I accepted the circumstances and decided to make the next 40 kilometers a fun adventure. 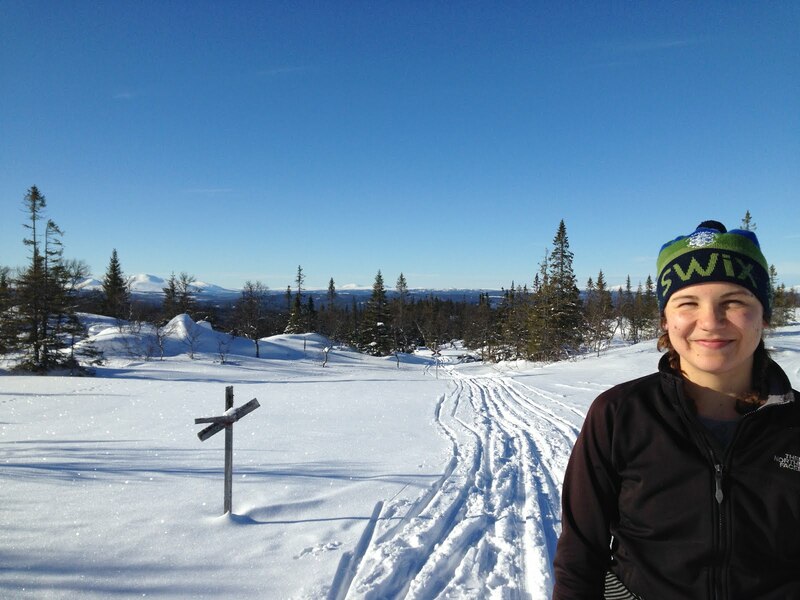 I double poled, I marathon skated, and managed to skate on sections of the trail that were wide and flat and straight. I tried to ski outside the packs of skiers, a poor race strategy, but I was a ticking time bomb and did not want to take anyone out with an ill-timed fall. On the course’s steepest downhill, the race emcee announced, “Here comes American Jackson Bloch” as I slogged down the hill in a snowplow that would give my ski coach Nathan nightmares, and then I wiped out anyway as I tried to navigate the soft snow and sharp corner. But I also gave the fans on the course big smiles and comic relief as I floundered past. In the end, I finished in 325th, still among those that I started with in my wave. It wasn’t the race I’d envisioned, but it was fun nonetheless and perhaps a more interesting story. Jackson's Family, The Messerli's (Jackson's family friends) and Jada all came to watch the race! are very excited for one last adventure! Way to persevere, Jackson, and nice finish, Tyler. Great narrative and pics as always. Good luck at the Birkebeiner guys and for the remainder of the adventure. Your readers will miss these posts. Welcome to my world, Jackson. Shempa, Shempa Shempa!